Add this nutritious quinoa oatmeal bread to your collection of bread machine recipes. The combination of quinoa—a high-protein grain—oats, wheat and bread flours, buttermilk, and honey results in a delicious, wholesome bread with a nutty flavor and chewy texture. 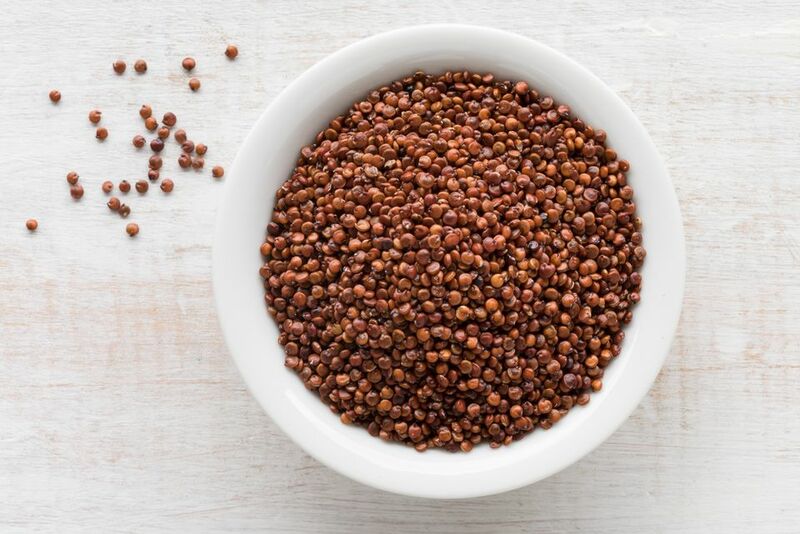 Raw quinoa grains need to be cooked before adding them to the bread dough, or you can substitute quinoa flakes (a processed form of quinoa meant to be eaten as hot cereal which resembles oatmeal) for the cooked quinoa and eliminate that extra step. To a saucepan, add the quinoa and cover it with the water. (If using quinoa flakes instead of raw quinoa, skip this step). Bring to a boil and cook for 5 minutes, covered. Turn off the heat and let quinoa sit, covered, for 10 minutes. Check your bread machine directions for the correct order to add the ingredients. Add all the remaining ingredients to the bread machine, including cooked quinoa (or quinoa flakes). Program machine for a whole grain loaf and bake. Let the bread cool for 15 minutes before slicing. It is important that you are familiar with how your bread machine works before you dive into a recipe. Check to see the capacity of your machine; some make 1-pound loaves while others make 1 1/2- to 2-pound loaves, so when making a new recipe, you might want to compare with the measurements of a recipe you are familiar with to make sure your machine can handle it. There are also specifications when adding the ingredients; certain machines require adding the wet ingredients first while others call for the dry. Quinoa bread is a dense loaf you can enjoy with your favorite spreads such as nut butter, butter, jam, jelly, cream cheese, chutney, and more. You can also serve slices to accompany soups and stews. Store the bread in an airtight bag at room temperature to keep it fresh. It should last 3 days at room temperature, an additional 2 days if refrigerated. Monitor it for any mold developing and discard when you see mold. You can also freeze the loaf, sealed in an airtight bag, for several weeks. If you don't have a bread machine, you can make honey quinoa bread the old-fashioned way. A bread machine makes baking loaves a simple task, so why not expand your recipe collection? There are plenty of recipes to try, including a wheat cornmeal bread, kalamata olive bread, and Cajun-spiced bread. But the bread machine is not just for making loaves. You can also whip up a batch of sweet potato rolls, cinnamon rolls, and hot cross buns. Even doughnuts, slider buns, and pizza dough are possible in the bread machine.